Huit Etoiles Leading Nu Disco&Based in Omotesando's VENT in Tokyo. The crew have featured many internationally acclaimed artists such as LNTG, Crazy P, Psychemagik, Sean Johnston, DJ Rocca, Khidja and Mehmet Aslan and continues to attract the world's best Nu Disco DJs. In 2014 Huit Etoiles debuted internationally as the first Japanese Crew to play 'Open to Last' at Milan's 65MQ, followed by shows in Berlin and Istanbul. Since then their popularity has exploded with multiple tours of Asia, Europe and America, and showcasing their Wamono (Japanese style) sets on radio shows including Napoli's 180gr, Amsterdam's Red Light Radio, and Zurich's Living Room. 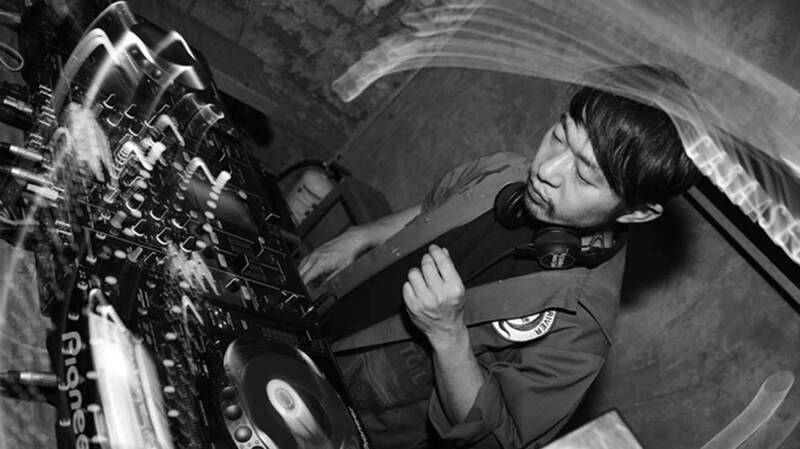 Que Sakamoto has created a unique electronic sound which has spread across the globe. In 2014 he debuted internationally as the first Japanese DJ to play 'Open to Last' at Milan's 65MQ, followed by shows in Berlin and Istanbul. Following the realese of his tracks 'Mr. Moonlight' and 'Salaut Des Frangines' on To Rack & Ruin's (UK) Edit series, he achieved a Top 5 ranking in Beatport's Indie/Nu Disco Must Hear March 2017 Chart for his track 'Lalo' in collaboration with NT (released on San Fransisco's Roam Recodings). His play, which absorbed music in genreless from childhood, is mainly composed of House, Disco, Nu Disco, Soul and Worldmusic flow in the base, and there are many elements such as Jazz, Blues, Progressive Rock It is spinning out his own dance beat by giving a face to. From 2015 participate in the party "Huit Etoiles" attracting attention after welcoming the popular artists who have not yet appeared in Japan to excite the Japanese Nu Disco scene. Co-star with Psychemagik's Danny McLewin, DJ Rocca, Crazy P, Ilya santana, Mushrooms Project, PBR Streetgang, Sean Johnston, Craig Bratley, Marvin & Guy, Khidja, Mehmet Aslan, Moscoman, Zombies in Miami, Dimitri From Paris, Cowboy Rhythmbox Fulfill. In addition, he performed with many overseas artists such as La dame Noir's Phred Noir and Amevicious, CADENZA's Frivolous. In 2016, he appeared as a guest DJ in Seoul's Contra, Baraboom and Pistil party. Starting a career as a DJ since 1996, constantly running at the beginning of the scene while changing his style with olfaction to read far away from the times, now with DEEP, PSYCHEDELIC, BOOGIE as keywords Nu Disco to House / Techno and From Mind Music Body Music We are also gathering support from crossing music from the west to the east and playing dirty sounds and house unique pucks. As the organizer of a party "Huit Etoiles “which was one of the most famous Nu DISCO party in Tokyo, With dragging beats and synching shouts, and spirits from his favorite artist Larry Levan, Sotaro carries the dance floor into a MAD DISCO! Born in Shinjuku grow up in Kabukicho Nightlife and spreading the sounds of crazy disco from the underground of Tokyo. One Of Real Digger In Japan. EMK Play Only Vinyl&Knows All Kind Great Music Like Japanese Rare Groove To House,Disco,Techno. Regident Of Huit Etoiles&Holiday Boogies. He Plays Under Ground Venue&Very Good Taste. You Can Feel From His Vibes! promote the new Italian sound from overseas in Asia hosting name like Fabrizio Mammarella, Francisco, Rodion, Franz Scala, Dj Rocca and so on, plus new and exciting artists around Asia. I.D.W. Asia is the Asian sister of Slow Motion records who has created one of the most significant realities committed to dance music and club culture since 2005, organizing countless events and festival. Many events were hosted in many different cities like Shanghai, Beijing, Tokyo, Hong Kong Berlin, Milan, Madrid and now is expanding in more and more city in China Mainland. I.D.W. Asia takes the discussion to the next level, while tracing a line of continuity through the years where the dance floor exploded (thanks to Moroder, Baldelli, Alexander Robotnick), through the clubs between the '70s and '80s that were awakened in Italy, they're getting into Chicago house, Acid, slow disco, and more contemporary genres.